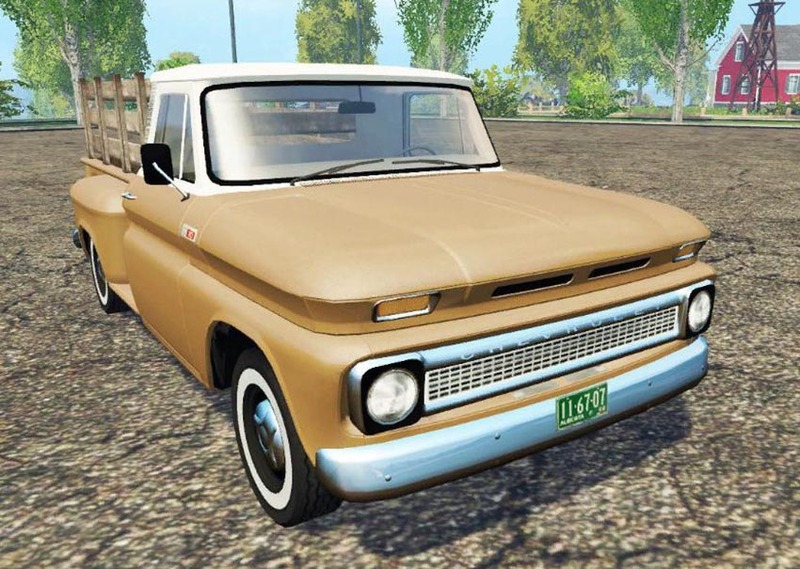 Passenger car Chevrolet C10 1966 fleetside lwb for Farming Simulator 15. Engine power, hp: 135. Fuel tank capacity, l: 132. Body volume, l: 2700.